Epilepsy is due to an aberration of the brain sensitive to the strain that repeated. Symptoms common epilepsy, among others: the empty view, a strain of repeated, foam out of the mouth, unconscious, and others. Symptoms of epilepsy can be different on each person, and usually it is often not known. However, some of the causes of the following can cause epilepsy. Diseases caused by infection, such as spinal marrow infection, infection of the brain membrane, metabolic disturbances, and others. Boil a handful of 'Akar baru cina', 1 thumb ginger, and 1 thumb 'palm sugar' with 4 glasses of water to the remaining 2 glass. Drink twice a day as much as 1 cup. Wash clean 8-10 of ciplukan fruit (Physallis peruvianna L.) that has been cooked. Use: to eat every day routine. Pound 5 grams of dried Cabai jawa fruit (Capsicum frutescens L.), add honey at sufficient, and poke up the average. Drinking all at once. Ciplukan have different chemical compound, which is already known, among others: Chlorogenik acid, C27H44O-H2O, and fisalin citric acid, fruit acids contain malat, alkaloid, tanin, kriptoxantin, vitamin C and sugar, while the pit contains of Claidic acid. This plant is analgesic, diuretic, neutralize poison (detoxifies), ease coughing, activate the gland body. In China pharmacology is mentioned that this plant has a bitter taste and mild nature. The pharmacologic effect obtained from the use of roots, leaves and fruit. Caraway plant implied in the bush species. Grow well on lowland until 1100 m dpl. This plant often being planted as ornamental plants. The plants used for medicinal is throughout the plant. Caraway has a chemical compound: Volatile oil (atsiri) like fenol and potassium. The benefits are as Expectorant, antiseptic and carminative. This plant is member of Compositae Family. It has pharmacologic effect like: is cold, neutral, anti neoplastic, lowering blood pressure. This plant is also often referred to as the local name: Oray Ki, Ki Peurat, Takilo (Sunda). takila (Java). Chuan Lian xin, yi jian xi, he lan Lian (China), tam xuyen lien; Cong Cong (Vietnam). kirata, mahatitka (India / Pakistan), kariyat (UK). Chemical compound: Andrografin; Andrografoloid; Panikulin. 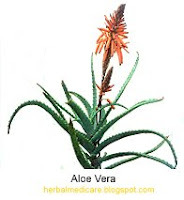 Benefits: anti inflammation, antipyretic, painkillers, diuretic, stomachic, and anti swelling. Plant part used: whole plant. Chemical compound: Filantina; Hipofilantina; potassium; resin (dammar); tanin. Benefits: Clearing the liver, anti inflammation, anti fever, sputum shedding agent, smoothen the menstrual period, increasing appetite. Herbal prescription drugs above are the traditional medicine that usually be used by the Javanese people to cure epilepsy. To ensure safety, please consult with your doctor.